Skater dresses are perfect for dressing up or down. 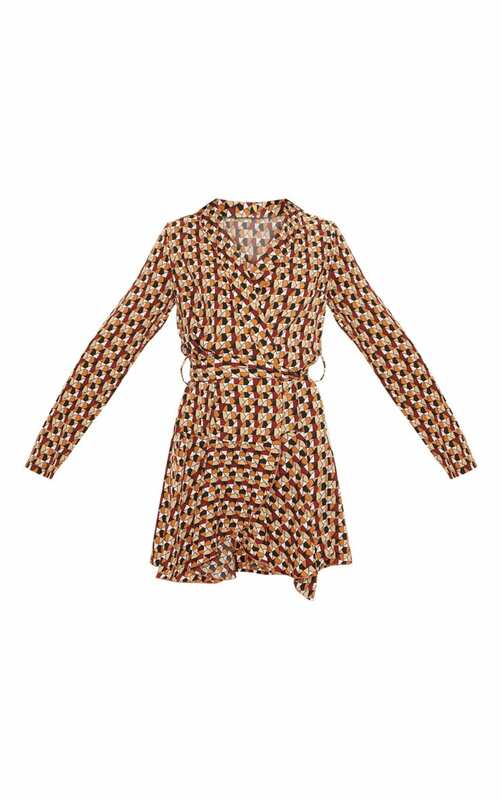 Featuring a brick multi geometric print material with a wrap over design and a tie fastening. 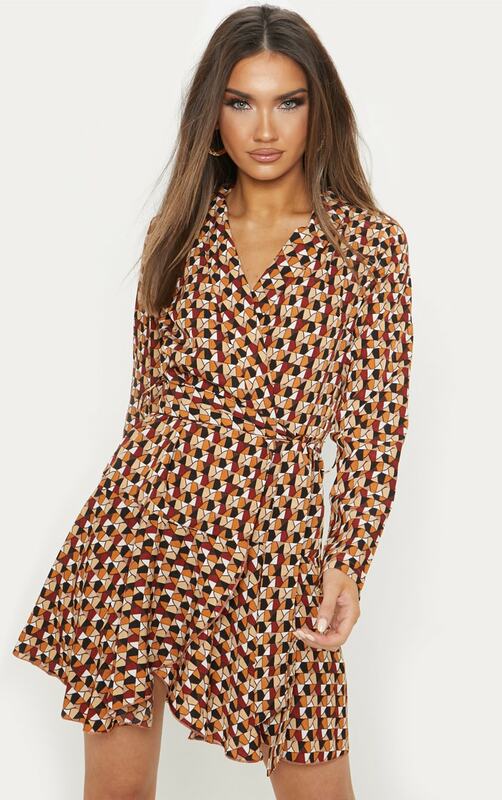 Team this with heeled boots and a bag to complete the look for an off-duty look we are loving.